Please pray for me. I do not know how to handle my situation anymore. I am feeling low and depressed. I know things, feelings and events are not permanent. Help me to go on. 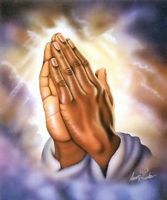 Pray for me as I pray for all of you.